One of the greatest shopping days of the year is here! 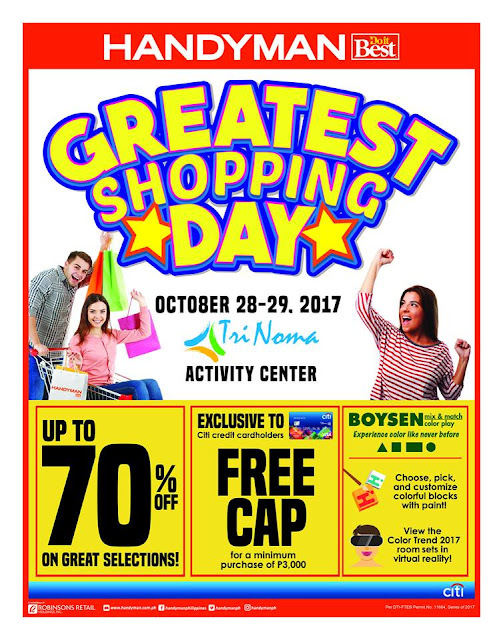 Check out Handyman's Greatest Shopping Day happening on October 28-29, 2017 at TriNoma Activity Center. Enjoy up to 70% off on great selections for your hardware, home improvement, and holiday shopping needs! 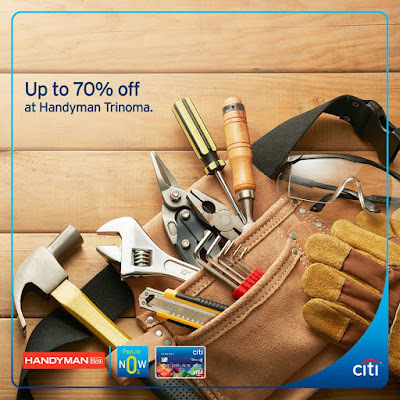 Plus... enjoy 0% Citi PayLite when you use your Citi credit card. Terms and conditions apply.